Large varieties of industrial flanges are made of superior raw material and are available in different grades and qualities. They work efficiently in various applications and are long lasting. We have vast domain experience of supplying and exporting a large assortment of Socket Weld Flange that is manufactured using state of the art technology. These flanges are available in a wide range of standard as well as customized specifications as per the requirement of our clients. Specially used for small diameter applications, our offered Socket Weld Flange ensures smooth bore and better flow of fluid. We take immense pleasure in introducing our firm as an ISO 9001: 2008 certified manufacturer, exporter and supplier of Slip On Flange. In order to manufacture this flange in compliance with industry quality standards, our adroit professionals use pristine quality raw materials and progressive technology. Our provided flanges are used in several industries for easily assembling and disassembling of pipes. 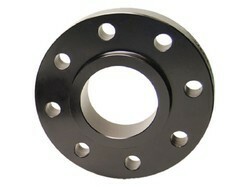 Clients can avail this Slip On Flange from us in different specifications at cost-effective prices. 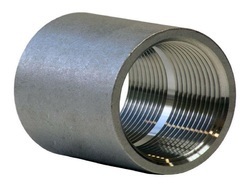 We, Salem Steel is a well-known and reliable manufacturer, trader and supplier of Stainless Steel Couplings that are ideally suited for use in corrosive environments and/or operation on corrosive fluids. These stainless steel Orifice Flanges are used instead of the standard pipe flanges when orifice plate or flow nozzle is used. In other words, orifice flanges are used with orifice meters. Steel Threaded Flanges are offered in different pressure ratings, dimensions and other specifications. 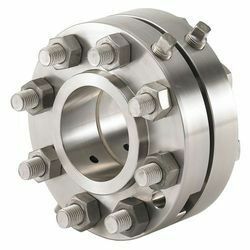 These threaded flanges are made of highest quality stainless steel. 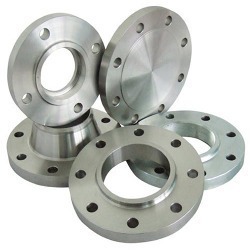 We are one of the leading manufacturer of screwed flanges in India, we can supply stainless steel,carbon steel and nickel alloy screwed pipe flanges, the method includes forging and casting. Also, we can produce as per your drawings and specifications. We provide Reducing Flanges that are fabricated using quality stainless steel. These reducing flanges are available in different configuration to meet the requirement of varied industry applications. Our stainless steel reducing flanges range is mainly used to connect tubings and pipe sections.Reducing flanges offer various advantages such as close tolerances, reliability and durability. 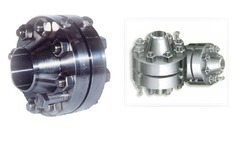 Moreover, the SS reducing flanges are supplied in customized specifications. 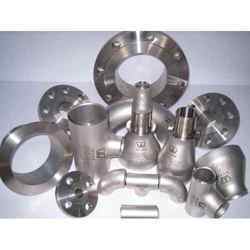 We are renowned manufacturers of Forged Flanges which are designed using latest technology and sophisticated engineering to provide our esteemed customers dimensionally accurate and uniformly constructed products. We also adhere to all quality and safety standards set by the industry. 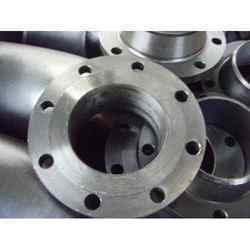 These Forged Flanges are widely used in numerous industries hence they are widely acknowledged. Durability, high tensile strength and anti corrosiveness are the silent features of these Forged Flanges. Under the able guidance of our trained professional, we are able to manufacture and expert of Lap Joint Pipe Flanges. We use updated machinery and techniques for the process of manufacturing the Lapped Joint Flanges. 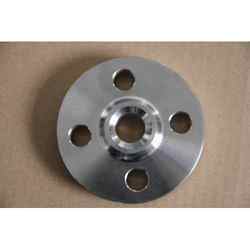 The important feature of this flange is easy for assembling, reassembling and cleaning purpose. This feature makes to feel comfort on joining the pipes. It is normally used by all the refining industries. We offer our clients the highest-grade of sorf flanges that are truly in conformation to the latest market demands. Weld neck flanges and sorf flanges are used in an assortment of industrial purposes. These flanges are mainly used to connect pipes & are considered as an important entity to support mechanical parts. We are engaged in offering wide range of Socket Weld Flanges that is used for transferring the flow of liquid. 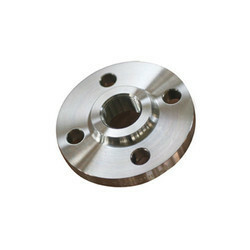 These Socket Weld Flanges are manufactured using fine grade of raw material that is procured from our trusted vendors. 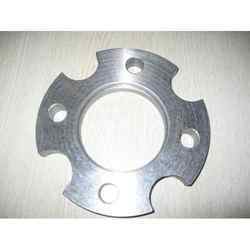 These Socket Weld Flanges are highly durable with excellent performance as compared to others. We procure wide range of qualitative carbon steel and alloy steel flanges from verified vendors spread all over the globe. For carbon steel flanges we conform to standards and for alloy steel flanges we adapt. These Spectacle Blind Flanges are made from high quality stainless steel. Offered in different dimensions & sizes, these steel spectacle flanges are supplied to highly critical industrial applications. 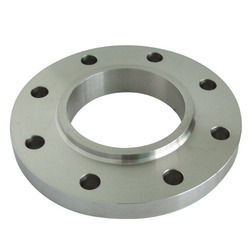 Manufactured to precision, these stainless steel spectacle flanges can also be supplied in customized specifications. The Drawing Flanges are offered in different pressure ratings, dimensions and other specifications. These drawing flanges are made of highest quality stainless steel. Conforming to ASTM and ASME specifications, our stainless steel drawing flanges are suitable to be used in critical hydraulic-pneumatic applications in various industries. We offer long weld neck flanges in various diameters and sizes. Highly resistant to corrosion and abrasion, our weld neck flanges, is available in different grades of material. Our range of stainless steel ring joint flanges is highly appreciated for strength, durability, reliability, corrosion resistance and close tolerances. 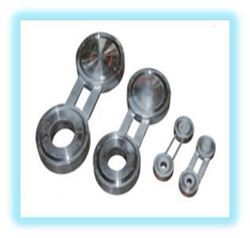 These steel ring joint flanges conform to various Indian and international quality standards. 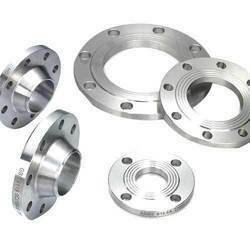 Used in a number of industries, these steel ring joint flanges are supplied in various dimensional specifications.For specific requirements, we also design custom ring joint flanges. 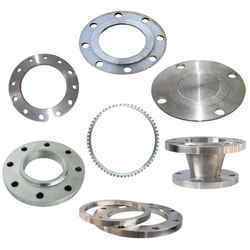 For meeting the diverse requirements of our clients we are engaged in offering a wide range of Lap Joint Flanges. Lap Joint Flanges manufactured using high-grade steel and other raw material, these flanges are developed in adherence with international standards and norms. Moreover, the flanges offered by us are tested on various parameters so as to ensure their superior quality and durability. Newlink International has gained immense appreciation for serving our clients for with superior quality Deck Flanges. These flanges are manufactured using high-grade raw material, which is procured from the authentic vendors of the market. 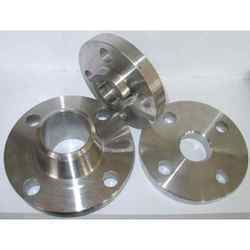 Moreover, clients can avail these flanges in various sizes and other specifications as per their exact requirements. Owing to their following features, these flanges are widely demanded by the clients: Precise dimensions Durability Robust construction High performance. Industrial Flanges, our valued clients can avail from us a sturdily constructed Industrial Flanges. 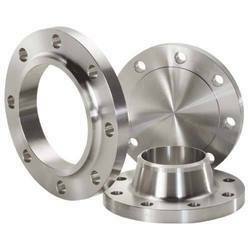 Manufactured using stainless steel and others, these flanges are available with us in different sizes and specifications. Blind Flanges is use to closes the end of a pipe. 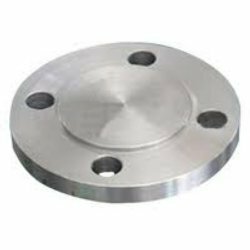 Fabricated using finest quality of stainless steel blind flanges, our range of blind flanges plate type are widely used to close the ends of pipes, valves, pressure vessel openings and other channels where one end needs to be blanked off. These stainless steel blind flanges can be customized on varying parameters. DIN : DIN2527, DIN2566, DIN2573, DIN2576, DIN2641, DIN2642, DIN2655, DIN2656, DIN2627, DIN2628, DIN2629, DIN 2631, DIN2632, DIN2633, DIN2634, DIN2635, DIN2636, DIN2637, DIN2638, DIN2673. Looking for Industrial Flanges ?